What do you love about this recipe? : My boyfriend and I love this recipe for its taste and versatility. You can easily replace the kale with cabbage or other ingredients, and you can mix up the mushroom variety depending on your budget. The ingredients also keep very well on a camping trip! 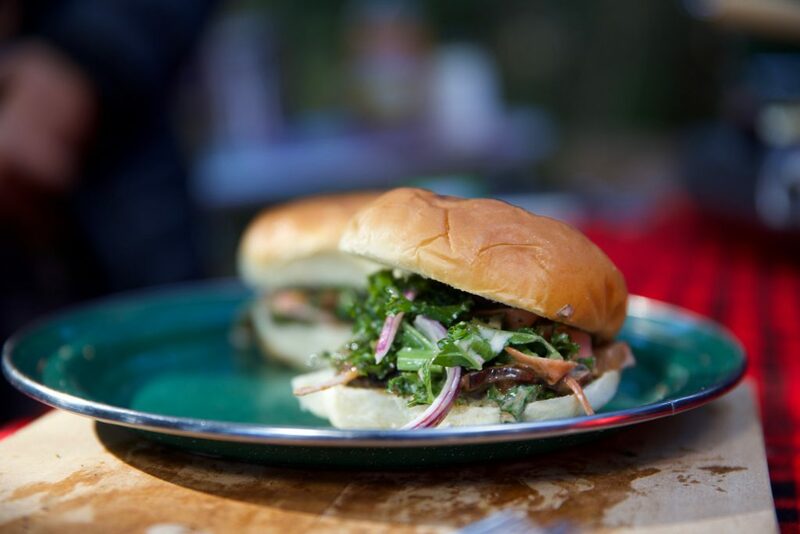 Toast the buns on the grill and add mushrooms and slaw to taste! Do you have an extra unique camp recipe? What makes your camp recipe a stand out? Have you found ways to take complicated recipes and simplify them for the outdoors? Do you have a family favorite that has been passed down through generations? Challenge our hosts to reproduce it and get our community inspired to try it! Submit your recipes to camprecipes@rei.com! There are no prizes, but if we decide to use your recipe, you agree that we can use your name, hometown and any of the other information you provide without restriction to say more about you and your recipe, why you love it and when and where you last made it.